Hello Beauties! 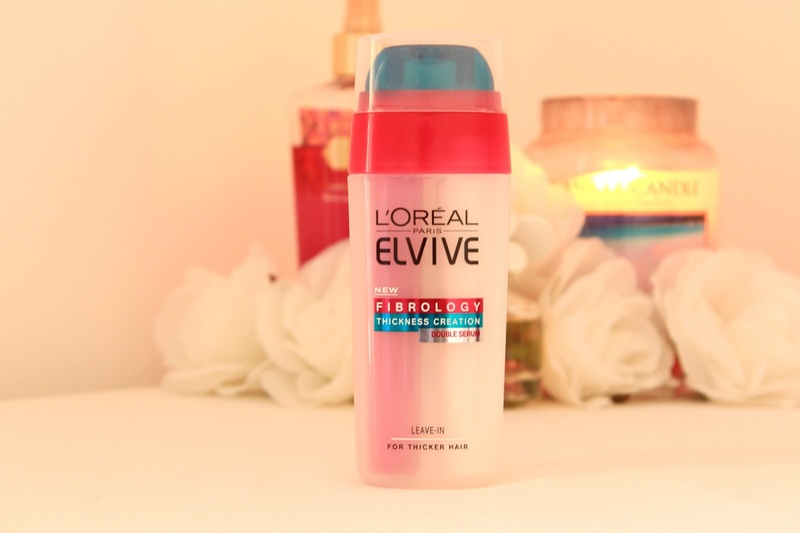 It's not often that I do a post about a hair product, mainly because apart from the Moroccan Oil and Bumble & Bumble products that I've tried, nothing has really wowed me until now. 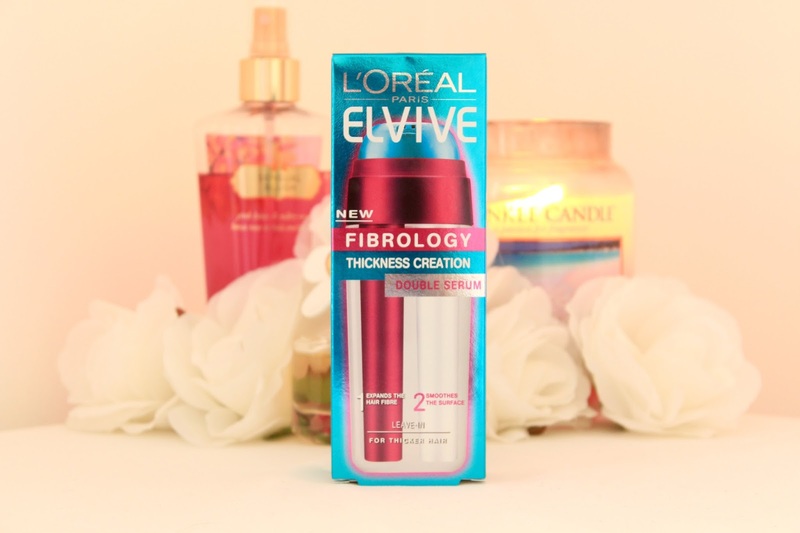 I have been suffering with thin hair as a result of over-straightening my hair for well over a year now and it can be a real pain to style, so I picked up the new L'Oreal Elvive Fibrology collection on a whim in Boots. When this was released it was on 3 for £10 which I think is a pretty good deal as this serum was around £7 on its own. I have been using the shampoo and conditioner as well as this serum, but I think the results are mainly down to the serum, so that's what I'm going to talk to you about today. This serum is made up of two different serums which are kept separate in the bottle, but when you pump it out they mix together which is supposed to make the serum work better according to L'Oreal. 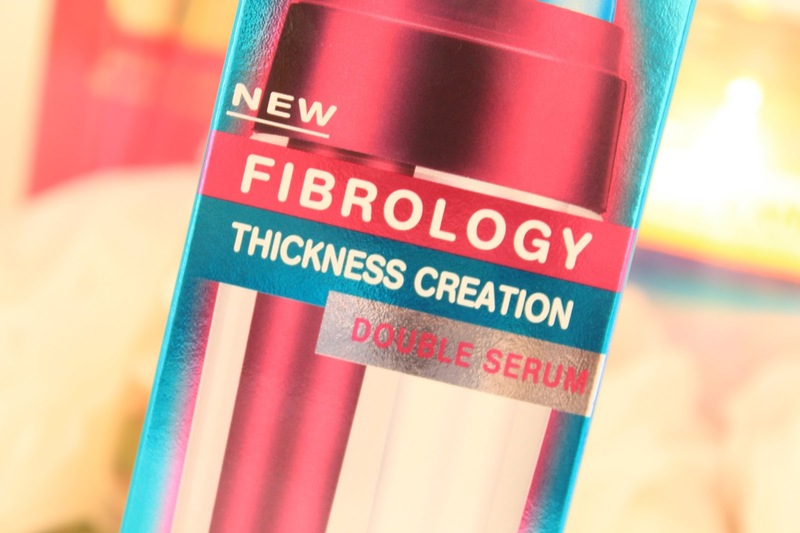 The first part of the serum is a clear liquid which is the thickening part. This part of the serum is enriched with Filloxane which penetrates the hair fiber and expands it to make your hair appear thicker. The second part of the serum is made up of a pink liquid which is a perfecting serum. 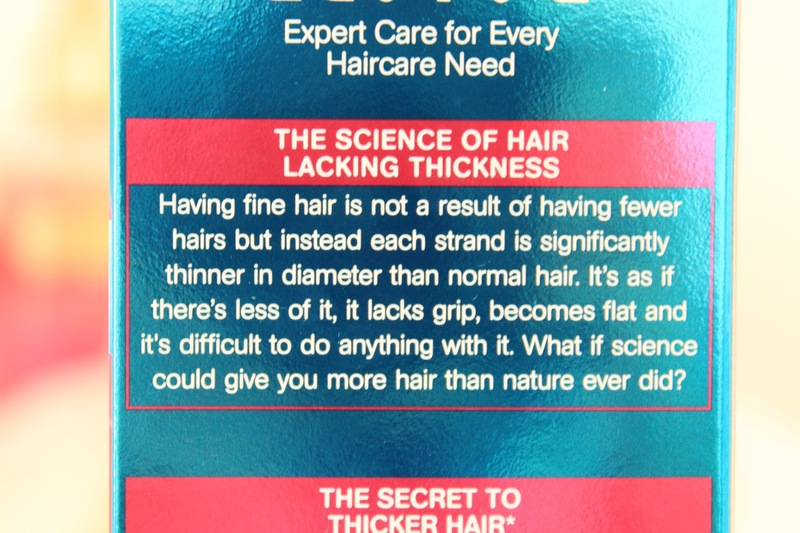 I think it's a really good idea that L'Oreal have combined the two products as I often find that volumising and thickening products make my hair a little frizzy, so the perfecting serum is great for helping to combat this. I have to admit, I was a little skeptical at first. Its so easy to fall for all of the scientific jargon on a product, there to con you into thinking its actually going to work and I was convinced that this would be the same. However, I have been seriously impressed with this product. My hair has been looking noticeably thicker without being fly away and poodle-esque. It now feels so much thicker when I'm brushing, straitening or tieing it up. This product is also great if your ends are thinner than your roots, which often happens when your using a lot of heat on your hair. I've found that the ends of my hair have been looking a lot thicker and I've actually had comments asking if I've been wearing hair extensions because my hair has been looking thicker. Like I said, I have been using this with the shampoo and conditioner which I also love, so it may be that this serum works a lot better when you use the whole collection. I really reccomend this product to anyone suffering with thin hair, and it's definitely a range I will be repurchasing. This sounds like such a wonderful product! 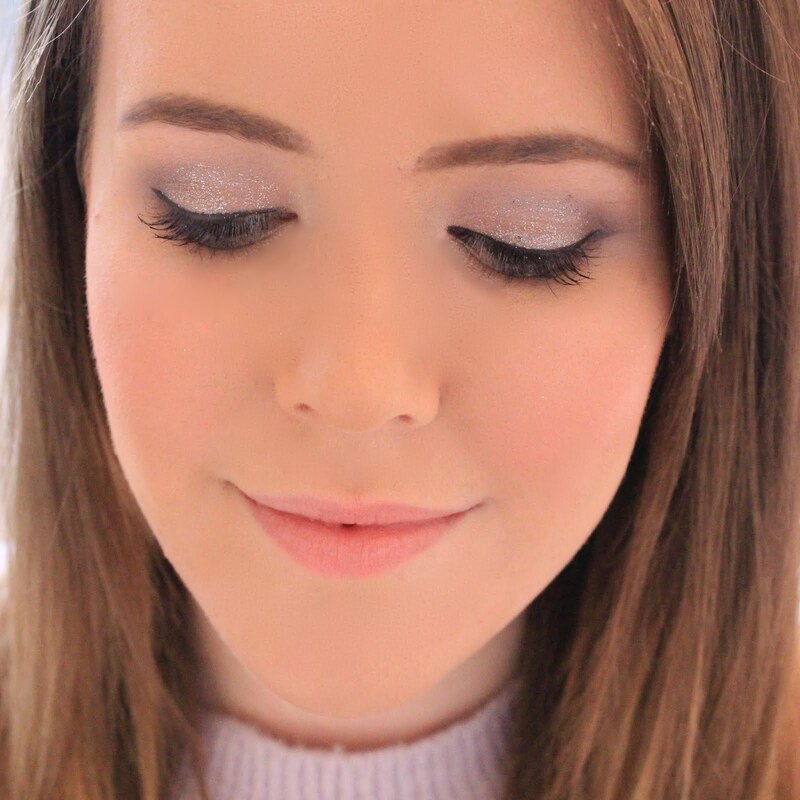 Tagged you in my latest blog post!! please check it out and maybe consider doing it? :D love your blog! we've tried out so many hair treatments, and nothing seems to work. We've been looking for something that really hydrates and nourishes our hair, and this sounds like it just might do the job. We'll have to give it a shot!